Update: It’s done, according to The Athletic’s Sam Amick. Talks between Sacramento Kings general manager Vlade Divac and Luke Walton to become the franchise's next head coach have reportedly progressed rapidly, with a deal expected to be finalized soon. Sacramento GM Vlade Divac is offering Luke Walton his franchise’s coaching job and there’s confidence on both sides that a deal can be reached quickly, league sources tell ESPN. Divac and Walton are meeting this weekend. Update: Source tells @TheAthleticNBA that Kings GM Vlade Divac and Luke Walton have already met today and are in the late stages of finalizing a multi-year deal. 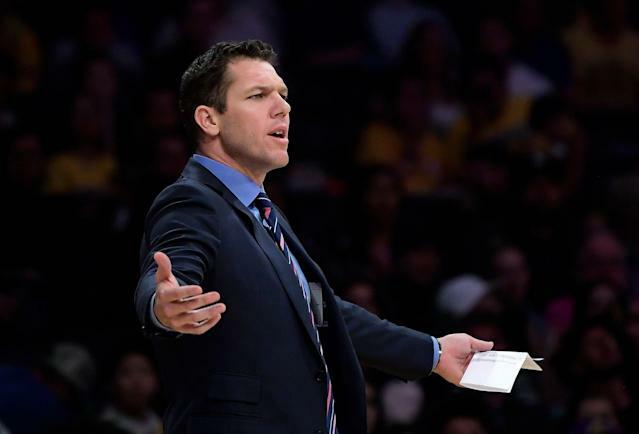 Walton coached the Los Angeles Lakers for the past three seasons but "mutually parted ways" with the franchise on Friday after going 98-148 with no playoff appearances. The Kings fired coach Dave Joerger on Thursday after posting an identical 98-148 record over the past three seasons in Sacramento.